Interested in learning Chinese language, but don’t have enough money or sufficient time on learning in China? Don’t worry, The native and experienced tutors are taking to Skype for help you. The high quality of voice service offered by Skype’s VoIP SW, as well as the high-speed Internet connections in China and elsewhere, make it possible to find a Chinese tutor who can help instruct you the basics of Chinese or improve your language skills ahead of that longtime trip. 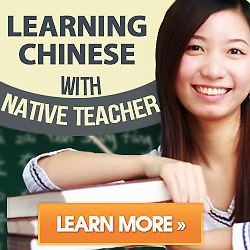 Touchchinese, located in Hangzhou, provides daily Chinese language 1-on-1 lessons for low cost tution. The 45 mins lessons are taught by teachers from Zhejiang University and other schools and language training center that work for Touchchinese on a part-time basis. The lessons are totally taught online, through the excellent voice and video features of Skype. Up untill now, Touchchinese currently has approximately 100 students ranging in age from children to adults, mostly from the US and Western Europe. They pay for their lessons using PayPal. Hangzhou may be half a world away from students in the America, but the time difference is well suited to evening lessons for U.S. students, noting that 8 a.m., Beijing time, is equivalent to 8 p.m. in New York or 5 p.m. in San Francisco. Hope our Chinese language lessons can help more and more friends from all of the world.